On the Communio blog I love to portray the witnesses of holiness, those canonized and beatified already, and those in process. 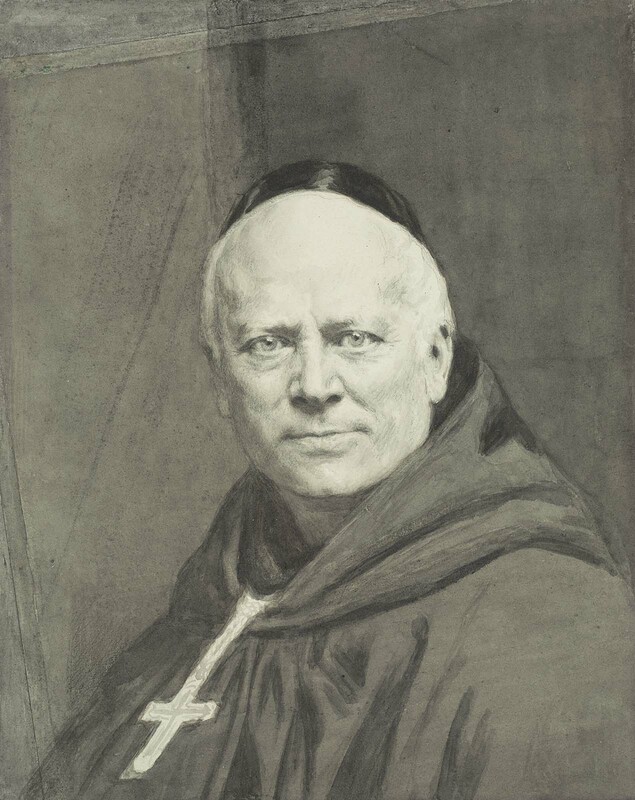 One such person in process for study is the Benedictine nun Mother Marie-Adèle Garnier (1838-1924), the foundress of the Adorers of the Sacred Heart of Jesus. In the monastery Garnier was known as Mother Mary of St. Peter. The aim of this Benedictine Congregation is to glorify the Most Blessed Trinity. Today is the anniversary of her transitus. 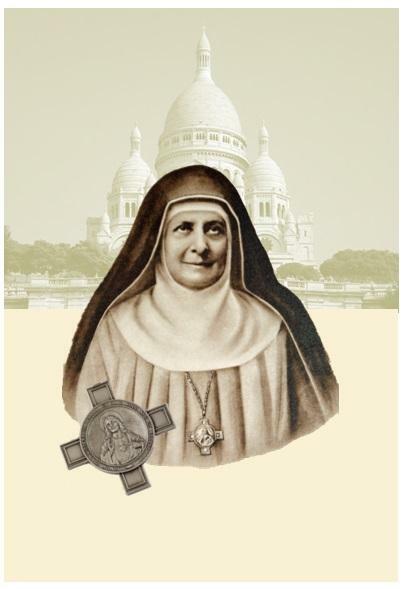 Mother Marie-Adèle’s cause has been introduced for study about a possible canonization. Blessed Columba Marmion wrote to one of her spiritual daughters, saying, “The special characteristic of your Mother is heroic confidence in the midst of impossibilities.” With this in mind, let us together pray for this favor. Father, all powerful and ever living God, we give you glory, praise and thanks for the life and virtue of your beloved daughter, Marie-Adèle Garnier. Filled with the riches of your grace and preferring mother to the love of the Heart of Jesus Christ, she devoted her whole life to the adoration, praise and glory of your Name; she sacrificed herself by prayer and penance for the unity and holiness of your Church; she loved her neighbor with a charity full of humility and compassion. Above all, she found the Sun of her life in the Holy Mass, and so was consumed with zeal for liturgical worship and Eucharistic adoration, and abandoned herself with all her heart to your most Holy Will in all things. We ask this through Our Lord Jesus Christ, Your Son, Who lives and reigns with You, in the unity of the Holy Spirit, One God, world without end. Amen. Sheen’s Body to move to Illinois? The saga of who gets the body is rather sad. Who would think that the process of getting a person declared a saint in the Catholic Church could get acrimonious? But, in the case of the Venerable Servant of God Fulton J. Sheen it is. Today it was announced that the niece of Sheen, Joan Sheen Cunningham, has petitioned the New York Supreme Court to move the mortal remains of her uncle from the crypt in St Patrick’s Cathedral (NYC) to the Peoria, Illinois. Sheen died on December 9, 1979. “All this focus on the body, the body,” Mrs. Cunningham said in an interview last week. “It’s forgetting what the purpose of the whole thing is. To keep someone from coming beatified over this, I think, is wrong.” Perhaps Cardinal Dolan could speed up the Sheen cause for canonization by ending the court petition now and send the body back to Peoria as requested. He’ll get a relic out of the deal anyways. Delaying is a tantamount to ecclesiastical game-playing. The Diocese of Peoria has published this press release. …the heroic virtue of the Servant of God Bernard of the Annunciation (in history: Bernardo de Vasconcelos) a professed monk of the Order of Saint Benedict; born 7 July 1902 and died 4 July 1932. He was a monk of Singeverga monastery. 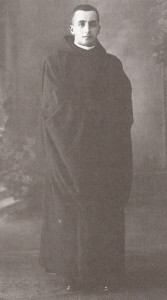 He died from spinal tuberculosis. Let us pray that our new Venerable will be raised the to the altar. Today, Timothy Cardinal Dolan , Archbishop of New York, announced that he was setting up the various commissions to study and advance the canonization process for the Servant of God Dorothy Day. This part of the canonical process, the Inquiry on the life of Day needs to argue for the Chuch that she lived a life of “heroic virtue.” Dorothy Day was the founder of the Catholic Worker movement. 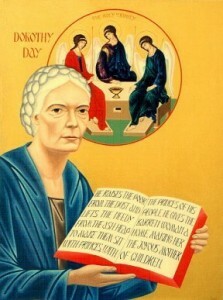 Dorothy Day is a convert to Catholicism (1927), a mother, and a Benedictine Oblate. With Peter Maurin, Dorothy Day founded the Catholic Worker Movement in 1933 in New York City. The Movement places a high emphasis on the virtue of “hospitality”, a supreme Catholic virtue and one that is spoken of directly in the Rule of St. Benedict. Dorothy Day died in New York at the age of 83 in 1980. 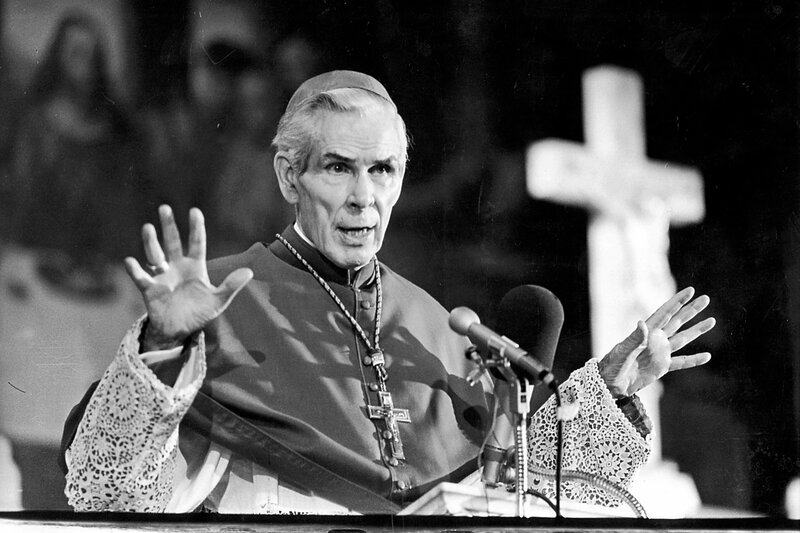 In 2000, Cardinal John O’Connor requested from the Holy See the nihil obstat, naming Dorothy Day “Servant of God” and thus opening the canonization process. Msgr. Gregory Mustaciuolo was named “postulator” or chief advocate for the Cause of Canonization. In 2012, Cardinal Dolan asked the body of US Bishops to formally endorse Day’s cause in November 2012; they approved. The Cardinal will appoint a historical commission that will report on the relevance of Day’s life in historical context and review her unpublished writings. Likewise, there will be a group of theological experts appointed by Dolan to review her published writings to make sure her teachings are without error. The process includes two readers for each publication. The New York Archdiocese is sponsoring Day’s cause. Dolan will see to it that the documentation will be properly given to Congregation for the Saints. It will be this Congregation that will examine the evidence making a recommendation to Pope Francis whether what is written of Day is authentic give the next determination, the title of “Venerable Servant of God,” which gives an eye toward beatification and canonization. Visit the Dorothy Day Guild for more information.